After the director of a video games company Michèle Leblanc (Isabelle Huppert) is raped in her apartment by a masked assailant, she clears up the broken glass, has a bath and carries on. But when her attacker threatens her with indications that he may strike again she begins to plot her revenge. 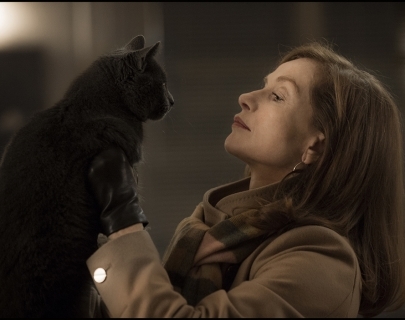 With an outstanding performance from Isabelle Huppert, winning her a Best Actress Golden Globe, director Paul Verhoeven’s first film in ten years is a knowingly provocative and outrageous black comedy.